Low Power 2TB SAS/SATA Drive For nearline storage. 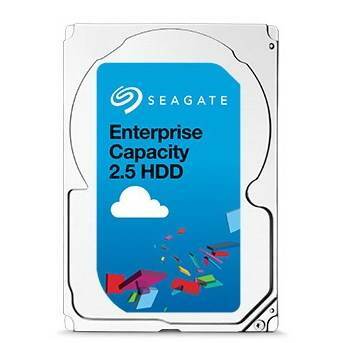 The Seagate Enterprise Capacity 2.5 HDD is the only 2.5-inch enterprise-class hard drive delivering both 2TB capacities and enterprise reliability at the industry's lowest power per watt for storage-hungry nearline applications. Delivers best-in-class performance for 2.5-inch 7200-RPM nearline drive with a sustained transfer rate of 136MB/s. Included Seagate PowerChoice technology can further reduce energy costs by empowering IT organizations to tailor systems for optimal performance and power consumption. This results in power savings of up to 35% over traditional 3.5-inch drives, and potentially operating at low as 1.1 watts when idle. PowerChoice is based on the T13- and T10-compliant power management standard. Seagate Secure Self-Encrypting Drives (SED) are TCG-compliant and can improve data-at-rest security and reduce drive retirement costs. The SEDs meet regulatory data security compliance requirements and are FIPS 140-2 Validated to protect Sensitive but Unclassified and Protected class data. Moreover, Seagate Instant Secure Erase feature on the SED and FIPS drives renders all data unreadable in less than a second. Learn more about Seagate secure disk erase deployment options. 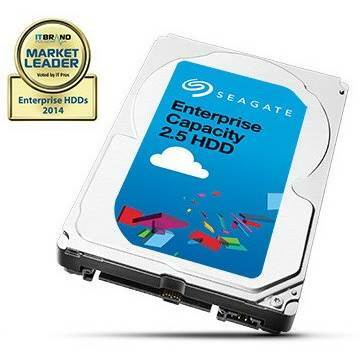 Seagate was selected by IT professionals as the 2013 and 2014 Market Leader for Enterprise HDDs. Get the full report to see the survey data behind the voting for Market, Performance, Reliability, Price, Service & Support and Innovation Leaders. 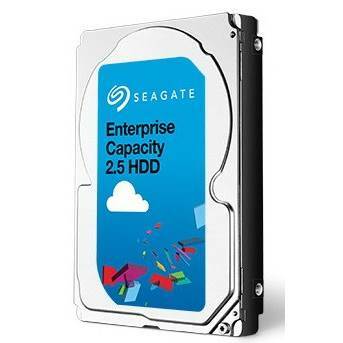 Seagate's Enterprise Capacity 2.5 HDD v3 delivers incredibly efficient power consumption and impressively nimble performance in random workloads. In tandem with a spate of enterprise-class features, dual-port 12Gb/s SAS functionality, and a five-year warranty, the Enterprise Capacity v3 is the leader in the 2.5" 7,200-RPM hard drive market.